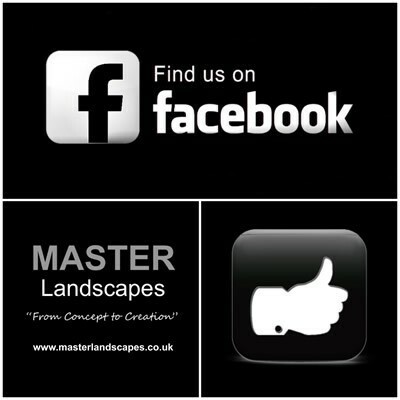 Master Landscapes are experts at the installation of unobtrusive garden drainage solutions. We understand drainage is a critical element of any garden design and will need careful consideration in the planning phase. After all, there is no point constructing a new patio that results in standing water either on the patio itself or somewhere else in the garden. Unfortunately this is an all-too-common issue that we have had to resolve in a number of gardens. Poor drainage usually occurs when the soil structure mainly comprises of poorly draining clay, meaning that a drainage plan is essential for the extended pleasure of your garden. Our drainage systems can be laid to combat existing land-drainage situations and are principally used to alleviate water-logging. Our usual solution to water-logging in clay soils is the installation of an underground soakaway. An AquaCell system with perforated pipes situated below ground which we surround with a porous membrane and pea shingle thus allowing ground water to drain into the pipes and AquaCells, eliminating the water-logging. Please contact us today where we will be happy to answer questions and give advice on your own particular situation.